The Hill Aerospace Museum offers a robust education program that aims at teaching STEM Education concepts and principles to children K- 12. The program focuses on co-curricular subjects and activities relating directly to the State of Utah’s Science curriculum. Our education staff teaches students the basics of flight, astronomy, weather, motion, gravity, forces of nature, and many others. The Hill Aerospace Museum and the Aerospace Heritage Foundation of Utah are committed to the legacy of those who have served our country. For that purpose, we have created education programs and activities that reach thousands of students. The museum’s Reynolds Aerospace Center for Education (ACE) brings over 60,000 students to the museum each year. Partnerships with school districts, colleges and universities, are critical piece of the education puzzle. 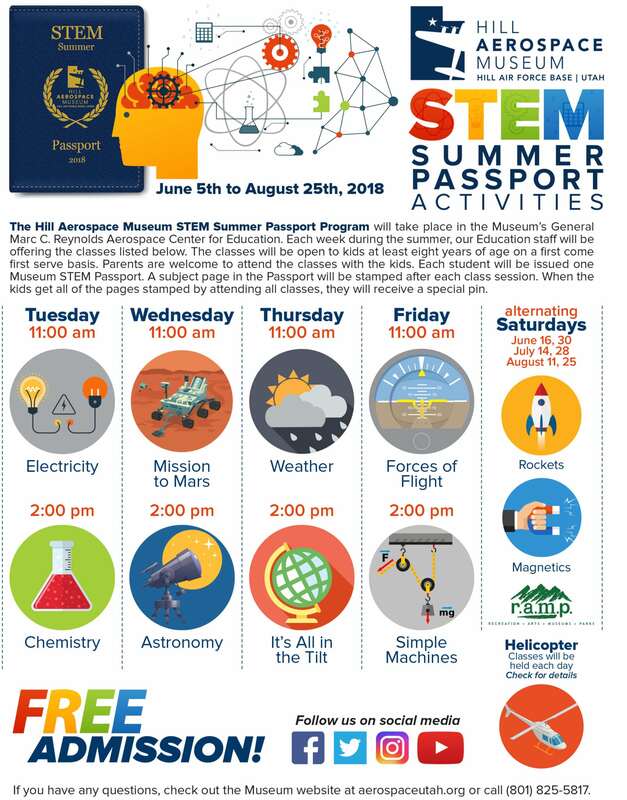 The mission of the Aerospace Center for Education is to strengthen America’s youth by promoting interest in aerospace science, thereby enabling the United States Air Force and our Nation to continue leading the world in aerospace technology and national defense. STEM, Science, Technology, Engineering and Math is at the forefront of our curriculum. The Museum STEM Education experience will enhance and inspire these students to possibly pursue an aerospace-related field as a career. The Reynolds Aerospace Center for Education is open during regular museum hours (Monday – Saturday from 9:00 am – 4:30 pm) and offers FREE ADMISSION. School groups, youth groups, and other groups should have an appointment. Drop in sessions are usually available for kids on Saturdays and during the week in the summer. For appointments or further information on the Reynolds Aerospace Center for Education, please call Kelsey at 801-825-5817. Mark B. 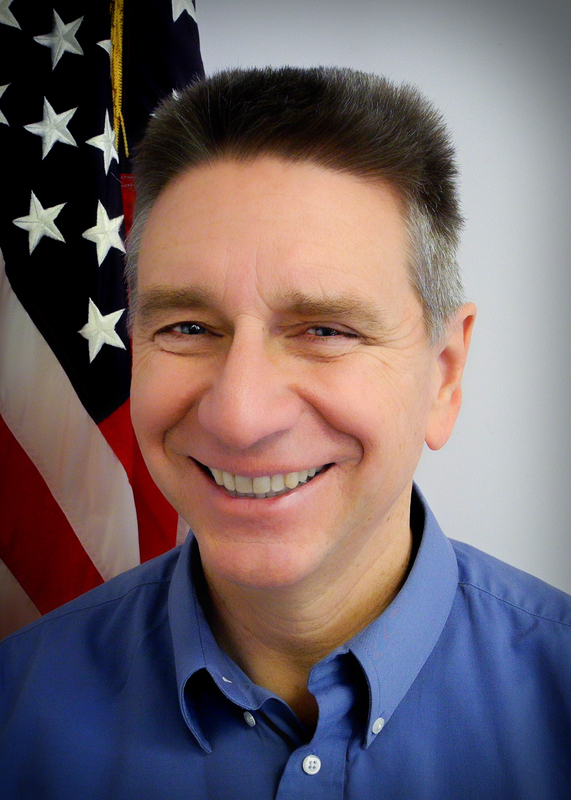 Standing is the Hill Aerospace Museum’s Education Director. Mark oversees the Museum’s Lt. General Marc C. Reynolds Aerospace Center for Education at the Hill Aerospace Museum. Mr. Standing comes with excellent experience in STEM Education, especially with K-9 students. Mark is an educator with more than 32 years in the classroom. He was the science facilitator on both the school and district levels for eleven years. Standing was very involved in the Math / Science Olympiad, Science Fair and assisted with the astronaut’s tour of the Weber School District. Mark facilitated a space shuttle simulator curriculum for 3rd – 6th grades. The ten-year space shuttle program touched the lives of hundreds of students. Mr. Standing has taught elementary and high school in both the Morgan and Weber School Districts as well as Weber State University. Most recently, Mark had the responsibility of being a mentor for educators in the Weber School District. We are excited to have Mark as a member of our museum education team. Hill Aerospace Museum offers a wide range of educational opportunities for individuals and groups of all ages. Please contact Kelsey at 801-825-5817 for further information.